Are you looking for more information about Lanadas Casino? Then you’re in the right place. In this Lanadas Review we will review the Lanadas website, games, bonuses, support and many more! And if you get convinced about the quality of this online casino. You will be able to receive some great bonuses and promotions! With ..
Summary rating from 40 user's marks. You can set own marks for this article - just click on stars above and press "Accept". Are you looking for more information about Lanadas Casino? Then you’re in the right place. In this Lanadas Review we will review the Lanadas website, games, bonuses, support and many more! And if you get convinced about the quality of this online casino. You will be able to receive some great bonuses and promotions! With these promotions it is possible to collect 50 Free Spins on Starburst on Sign up. Besides that Lanadas offers a Welcome Bonus up to €200,-. Ready to collect these offers? Then sign up your free account today! First let’s start with some basic information about Lanadas Online Casino. This online casino is owned by a company called EM Online ApS. This is a company incorporated under the laws of the European country Denmark. 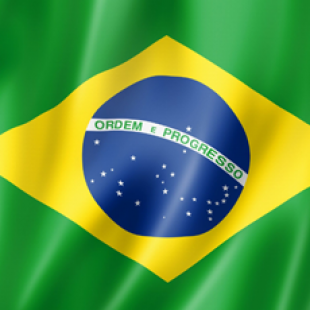 Besides Lanadas Casino EM Online ApS also offers Dealers Online Casino. Because of the fact we know EM Online ApS personally we can tell this is a legit company and a legit casino. Besides that the brand is a fully licensed operator under the Remote Gaming Regulations of Malta. Which makes sure you gamble safe and secure. 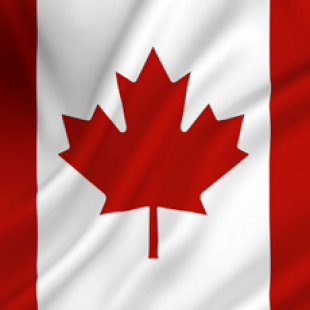 The status of their operator’s license can be found on this website. Want to know more about this online casino? Then continue reading this extensive Lanadas Casino Review. Ready to try out Lanadas with a nice No Deposit Bonus? Sign up now and collect 50 Free Spins on Starburst at Lanadas Casino! When you land on Lanadas Online Casino you will immediately see that this website is all about great and beautiful visuals. And that’s why NetEnt and Lanadas is a great match. The famous NetEnt slots really match the appearance that Lanadas Casino wants to have. Besides NetEnt games, Lanadas also offers games by NeoGames and Amaya. Most games at this casino can be played on all devices. So playing on your smartphone or tablet is not a problem. Got you interested? You probably are thinking about which games Lanadas offers. Well, we can tell you! At Lanadas Online Casino you will find lottery games, slots, casino games, jackpot slots and scratch cards. On the website you will find all famous games such as the Guns N Roses Slot, Hook’s Heroes and Gonzo’s Quest. And besides that you will also find games like Roulette, BlackJack and Bingo. Want to start playing? For all our Lanadas Review readers we have a special offer. Start playing now and receive a 100% welcome bonus and 50 free spins! Want more information about this great promotion? Then head over to their website. Click here to sign up for a free account. After logging in you will also find a live casino in the Lanadas gaming lobby. With these games it is possible to enjoy the thrill of the real casino from the comfort of your own home. And all games are operated by real life dealers. Sign up now and try our Roulette, Baccarat or Blackjack. Most of these games are also available in different game types. Try your luck today and hit the live casino for some real life casino excitement. At Lanadas you will find an extensive portfolio of scratch card games. Just visit the gaming lobby and filter using the button ‘’Scratch’’. After that you will see the entire collection of scratch cards. At the moment it is possible to play more than 25 different scratch card games. And while playing these games it is possible to hit some huge winnings. For example, some recent winners took more than €10.000,- with one scratch card. 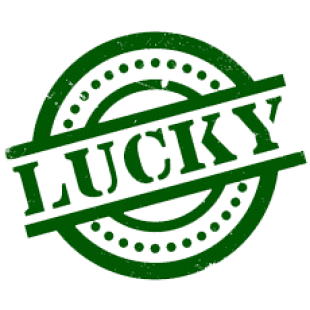 Try your luck today and sign up at Lanadas Casino. At Lanadas Casino you will find a few great jackpot games. The most popular is the Divine Fortune Video Slot. But also Cosmic Fortune and Jackpot Jester are very well known. Try your luck and win big on one of the jackpot slots. In the weekly and monthly top jackpot section on the homepage of Lanadas Casino you will find some recent winners of huge prices. At the moment we see a few people that have won a jackpot over €7500,-! At Lanadas Casino you will find some great bonuses and promotions. With these promotions it is possible to collect 50 Free Spins on sign up. And after that you will also receive a 100% Welcome Bonus up to €200,-. And as a loyal member (VIP) you will even be able to collect some great promotions every week! Below you will find more information about all bonuses and promotions. For every person who is looking for some great online casino action we have added Lanadas Casino to our portfolio. Never played at Lanadas Casino before? Great! Then you will be able to collect 50 Free Spins on sign up. Signing up is very easy and free. And after that, your 50 Free Spins on Starburst will be available straight away. You can use all winnings during your free spins on other games in the casino. So try to hit some big wins and test this cool online casino. Click on this link for more information! Lanadas also offers a cool VIP program. The VIP program is great news for frequent players of this online casino. From the moment you start playing at Lanadas, every bet will count! You will earn reward points that can be converted into free bonus cash as you climb the VIP ladder. Start playing today and start collecting points with this cool Loyalty program. In this Lanadas Review we also check out the design and usability of this online casino. When landing on this website you can see that the design is very easy and clean. The menu is easy to use and all important navigation options such as the login and signing up pages are available. Besides that you will directly see the most popular games of the moment. And when you’re on mobile of tablet, Lanadas offers a great mobile website. Through this special designed website it’s very easy to play or find information about this casino. So it doesn’t matter where you are. You can always play at Lanadas! For that we rate the usability of the casino very high! At Lanadas it is possible to deposit money using a few convenient ways. At the moment Lanadas offers iDeal, Credit / Debit Card, PaySafeCard, Bank transfer, Neteller, Skrill (1-Tap) And FastBankTransfer. In this way it is always possible to deposit using a suited way. It possible to deposit money starting from €10,00 with Skrill. This may vary based on which deposit method you use. Want to cash out some of your winnings? Great! At Lanadas it is possible to cashout starting from €10,00. The only exception is bank transfer, then you need to pay out more. Besides that it isn’t possible to cash out more than €7000,00 per month. A standard account verification is necessary to pay out money. For more information out withdrawing your money. Please visit the Lanadas website! Lanadas website works with highly protected SSL connection. Because of this your transactions, information and money is always secured. At Lanadas Casino they take security very serious. The complete Lanadas website is served through a high tech 128-bit Secure Socket Layel (SSL). Because of this is all sensitive data is fully secured when sent over the internet to the Lanadas servers. And these servers are also fully protected by the latest firewall. So all personal information and payments are always safe and secure. All credit and debit card transactions are processed by Aspire Global International LTD, a company licensed and incorporated in Malta. These security measures make sure you can always gamble in a safe environment. When you got a question or need some information, you can always ask the Lanadas Support Team. Lanadas believes that great customer care is vital for a casino. And that’s why the casino supports all players 7 days a week. Get in touch through their customer care telephone number, email or by live chat. Besides that you can also look up your question in the Frequently Asked Questions section. If you have any questions or concerns, please do not hesitate to contact the Lanadas team! When writing this Lanadas Review we have looked up a great amount of information and we played at the casino for a few bucks. We didn’t win big, but we did have a good time. In our opinion this casino looks pretty great and the casino works perfect on all devices. The amount of games is alright and the used software works perfectly. This is pretty logic because NetEnt games are available in this casino. Besides that the promotions and bonuses are nice and the special VIP program can be really great for frequent players. If Landas need some improvement, they could do it by adding some more well-known software suppliers such a Microgaming or RTG. Well, this is enough for our Lanadas Review. 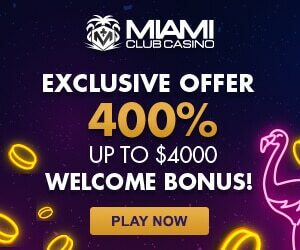 Want to try this casino for yourself? Then head over now and receive the special welcome bonus for new players! Want to submit your own experience? Or submit your own Lanadas Review? That’s no problem! Just hit the button below and send in your experience with this online casino! We got a special treat for readers of our Lanadas Review. Start playing now and receive a 100% welcome bonus and 50 free spins at Lanadas! At this casino you will find hundreds of different games by some software suppliers. Most games are offered by NEtEnt, NeoGames and Amaya. View their website to check out all provided lottery games, slots, casino games, jackpot slots and scratch cards. 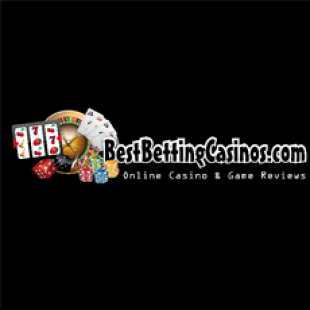 When writing this Lanadas review we used some sources like their website and some other casino websites. Besides that we did play at this casino to known were we write about. If you find any information that isn’t true, you can let us know by sending a message! 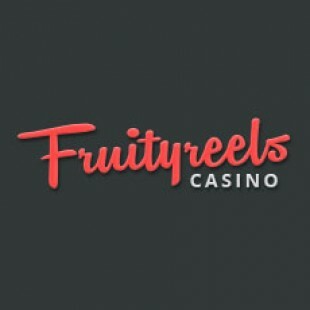 50 Free Spins after sign up! Software Suppliers could be improved. Lanadas Casino is operate by Aspire Global International LTD., a Malta based company which is a fully licensed operator (MGA/CL1/408/2007) under the Malta Gaming Authority. And in Great Britain only, the games are operated under an United Kingdom Gambling Commission (Remote Gaming License Number 000-039483-R-319409-001) license. This ensures Lanadas has the required licenses to operate within the European markets. Like gambling on your mobile or tablet? That’s no problem at Lanadas! The website is responsive and works well on all devices. Besides that most games by NetEnt or other software suppliers are mobile friendly. So you can play whenever you want at any place! At this casino you can pay with Australian Dollars, Brazilian Reais, Canadian Dollars, Danish Kroner, Euros, Norwegian Kroner, Pounds Sterling, Swedish Kronor, and United States Dollars. Started playing at Lanadas Casino this week. I started with the 50 free spins and won €21 on Starburst. Great because I could use this money on other games. IO had a lot of fun with my 50 free spins and the other games I played at Lanadas Casino. And even depositing was super easy and they gave me 100% free on top of my deposit amount. I made a €50 deposit and i received €100 in my account. I love the NetEnt games at this casino and i am sure i am gonna come back here. It is fun, and the live chat support is perfect. I had one question about a game and within a few seconds i had my answer from the sweet lady of live support. In my opinion Lanadas Casino is a great Casino and I can recommend this casino to everybody on this website. Played at Lanadas for some time. Like the new website way better, its quicker and it offers more games. Withdrawals aren’t as quick as possible but the casino is fair and reliable. No further negatives.